Leon C. Paulus, 80, a lifetime resident of Easton, passed away Tuesday, Jan. 1, 2019 in Lehigh Valley Hospital-Muhlenberg. Born June 5, 1938, in Allentown, PA, he was a son of the late William J. and Beulah V. (Mackes) Paulus. He and his wife, Beverly Ann (Slutter) Paulus, celebrated their 56th wedding anniversary on Nov. 22, 2018. 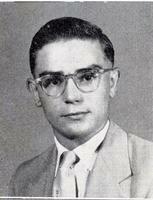 Leon was a 1956 graduate of Easton High School and served with the U.S. Marine Corps. Until retirement, he worked for many years for the N.J. Army National Guard. He had been employed by the former Bethlehem Steel for over 25 years and Eastern Engineering. He was a member of Good Shepherd Lutheran Church where he was a former president and member of church council and Eucharistic minister. He was formerly an active member of St. Paul's Lutheran Church where he had been a former president and member of church council and sexton. Leon was Scout Master of Troop 6 at St. Paul's for over 50 years, recipient of the Lamb award and member of Order of the Arrow. He was a past president of the local chapter of the former Lutheran Brotherhood, volunteer for Meals on Wheels, an avid donor at Miller-Keystone Blood Center and Judge of Elections for Easton 10th West Ward for many years. Surviving in addition to his wife, Beverly, are a son, Leon P. Angelino of Allentown; daughters, Amy P. Cygan and her husband, Joseph, of Bethlehem and Tammy P. Hetzel and her husband Joseph, of Palmer Township; grandchildren, Philip and Adam Cygan, and Rebecca and Laura Hetzel; brothers, William Paulus Jr. of Brockport, NY, and Rolland Paulus, of Easton; a sister, Shirley Cuvo of Elkhart, IN; many nieces and nephews. He was predeceased by a son-in-law, David K. Angelino, brothers, Gerald and Richard Paulus, and sisters, Lorraine Odenheimer, Kathryn Brendle, Victoria Walters, Jean Doll, Joan Paulus, and Eleanore Woodring. In lieu of flowers, memorials may be made to Miller-Keystone Blood Center, 1465 Valley Center Parkway, Bethlehem, PA 18017 or Meals on Wheels of Northampton County, Inc., 4240 Fritch Dr., Bethlehem, PA 18020. Click here to see Leon's last Profile entry.